It is a small deciduous tree native to the eastern United States and Canada, producing a large, yellowish-green to brown fruit. Planting: Plant seed in fall. Cuttings, layering, seed. Slow; germinate the next spring. If fruit production is desired, purchase at least two genetically different trees (i.e. two different cultivars, or at least two seedlings), to ensure that cross- pollination can occur. Harvest: Late summer. Pick when fruit is ripe. The outside will be coppery-brown and the inside creamy-yellow. Keep fruit in cold storage until fully ripe for sweet taste. Habit: Purplish-green nodding flowers March - April. Fruit is 3-5 inches, banana- shaped, and green when young, brown or black when mature; edible in the fall. Pawpaw fruit is the largest of any fruit native to North America. Culture: Native to the eastern United States and Canada as well as the deep acid soils of east Texas. It also does well in alkaline soils such as the black and white soils of north Texas. Large fan-shaped leaves turn yellow in the fall. Young shoots and leaves covered with rusty down. Easy to grow in relatively moist soils and loves the organic program in USDA plant hardiness zones 5 (-15o F/-26o C) through 8 (15o F/-9o C) over a wide range of latitude, from the Gulf Coastal plain to southern Michigan. However, they may not receive adequate chilling hours if planted too close to the Gulf Coast. Most named cultivars originated in the Midwest. Although the pawpaw is capable of fruiting in the shade, optimum yields are obtained in open exposure, with some protection from wind. Germinating seedlings will not survive full sunlight. 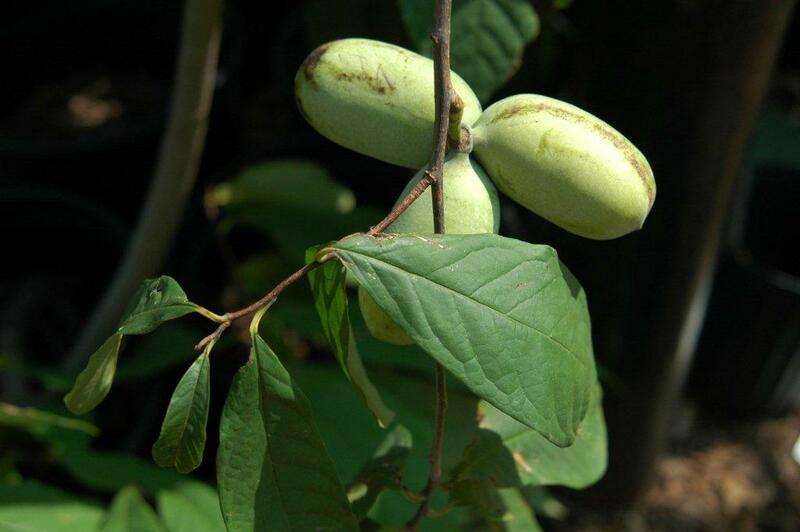 Shading for the first year, and sometimes the second, is normally required outside, and it is for this reason that pawpaws are almost always found in nature as an understory tree. Good drainage is essential to success. 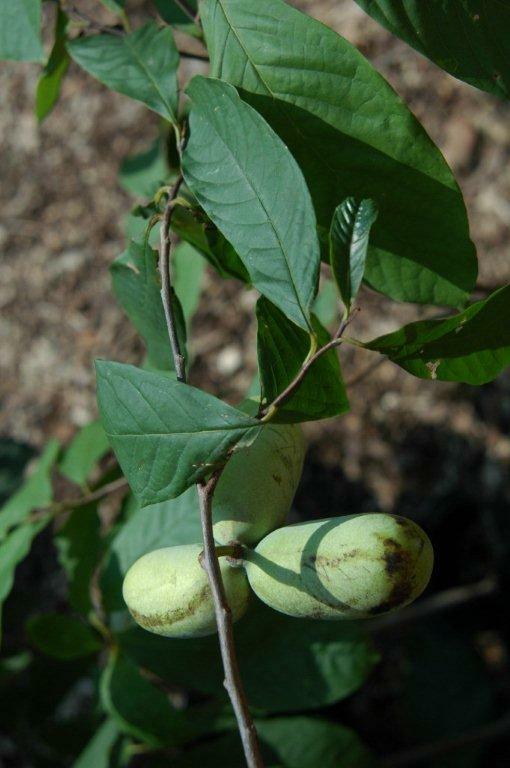 Pawpaws will not thrive in heavy soil or waterlogged soil. Pawpaw seed is slow to germinate, but it is not difficult if certain procedures are followed. To break dormancy, seed must receive a period of cold, moist stratification for 70-100 days. This can be done sowing the seed late in the fall and letting it overwinter; the seed will germinate the following year in late July to late August. Another way is to stratify the seed in the refrigerator (32o- 40o F/0o- 4o C). 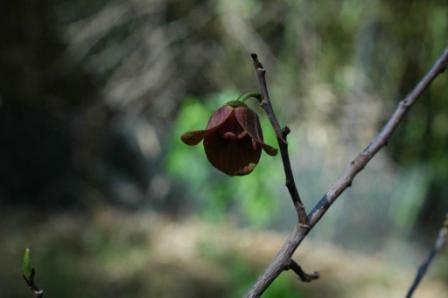 Pawpaw clones are easily propagated by a number of grafting and budding techniques, such as whip-and- tongue, cleft, bark inlay, and chip budding. Stem cutting are more difficult. Pollination can be a limiting factor in the wild and in your garden. The flowers are protogynous, meaning that the stigma (the female receptive organ) ripens before the pollen, and is no longer receptive when the pollen is shed. In addition, pawpaw trees are self-incompatible, usually requiring pollen from a genetically different tree in order to be fertilized. Finally, the natural pollinators of the pawpaw-- various species of flies and beetles-- are not efficient or dependable. Although it requires a little extra labor, hand pollination to ensure fruit set can be well worth the effort and can be done as follows: Using a small, flexible artist's brush, transfer a quantity of fresh pollen from the anthers of the flower of one clone to the ripe stigma of the flower of another clone. Pollen is ripe when the little ball of anthers is brown in color, loose and friable; pollen grains appear as yellow dust on the brush hairs. The stigma is ripe when the tips of the pistils are green and glossy, and the anther ball is still hard and green. Heavy fruiting can stress the tree, resulting in smaller than normal fruit, and may cause limbs to break under excessive weight. Problems: Leaf-eating ants. Hard to transplant large specimens; however, small plants are fairly easy. Hard to get the plant to set fruit. In its native habitat the pawpaw has few pests of any importance. The worst pest is Talponia plummeriana, the pawpaw peduncle borer, a small moth larva that burrows into the fleshy tissues of the flower, causing the flower to wither and drop. Some years this borer is capable of destroying the majority of blossoms. Another pest is Eurytides marcellus, the zebra swallowtail butterfly, whose larvae feed exclusively on young pawpaw foliage, but never in great numbers. The adult butterfly is gorgeous and should be enjoyed. Sometimes the fruit surface may be covered with patches that are hard and black; this is a fungus infection, but it seldom has any effect on flavor or edibility. Deer will not eat the leaves or twigs, but they will eat fruit that has dropped on the ground. Male deer occasionally damage trees by rubbing their antlers on them in winter. Outside its native and adapted region, the pawpaw will sometimes be plagued by pests, but this is usually because of poor tree health resulting from the stress of improper soils or management.